In 1995, STERLING GELATIN and CRODA Colloids, a world leader in Gelatin technology, entered into collaboration agreement to set up brand new Gelatin manufacturing facility in India. The company since then set up the most modern world class facility employing the latest innovations in technology for manufacture of Gelatin managed by high caliber professionals in the industry. We are a major operating division of the diversified Sandesara Group of companies. 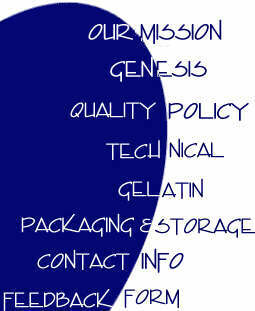 Our core business is the manufacture of gelatin for pharmaceutical and edible uses where we have established a worldwide reputation for supplying high quality products against very demanding specifications.